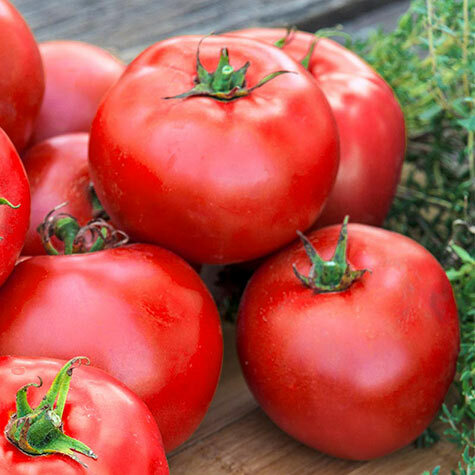 This best-selling slicing tomato has it all—excellent taste, beautifully rounded large fruit and disease resistance. Plus, it produces loads of 1-lb. plump, juicy, meaty, red fruits. This outstanding variety is the Guinness record holder—producing 342 lbs. of fruit from one plant! Better Boy Hybrid Tomato exhibits resistance to verticillium wilt disease, fusarium wilt race I and root-knot nematodes. It's widely adapted throughout the country. An indeterminate, it produces fruits up until frost. Staking the vines is recommended. Seeds can be planted indoors about 6-8 weeks before transplanting the seedlings outdoors in the garden. Approx. 30 seeds per pkt. 75 DAYS. Botanical Name: Lycopersicon lycopersicum "Better Boy"
Height: 6 - 8 feet (needs staking.). 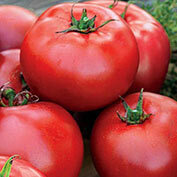 Fruit: Plump, juicy, meaty, deep globe, scarlet tomatoes. 8 oz., often weigh 1 lb. Comments: Indeterminate vines, best staked. Widely adapted. Big yields. Disease resistant: V, F, N. Good foliage protection. 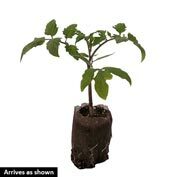 Stake or support plants. Biggest yield, Guinness record-holder for producing 342 lbs. of fruit from one plant.